3. Wear Hanbok for free and take beautiful pictures at special photo zone! It was a great experience of making Kimchi here at Seoul Kimchi Academy. You also get to meet some other tourist from around the world and make friends. Highly recommended. Kimchi and Tteokbokki, popular Korean traditional food around the world. 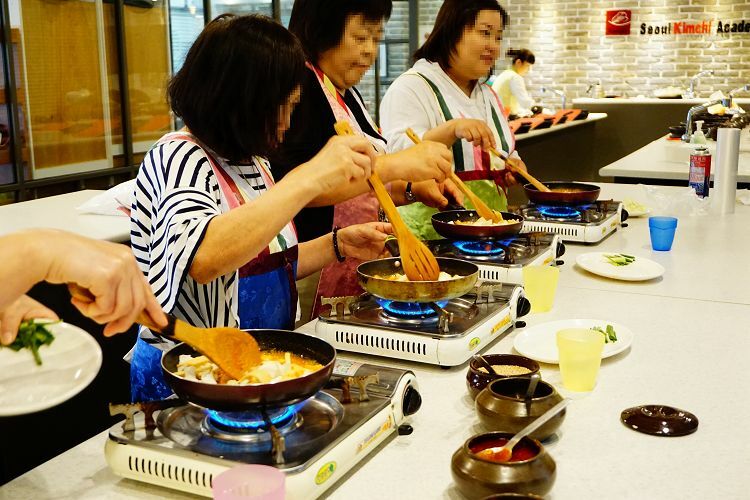 More and more travelers learn how to make Kimchi and Tteokbokki in Korea, return to their countries, and cook them at their homes. Why don’t you make your own personalized Kimchi and Tteokbokki in Korea and eat them at your home countries? 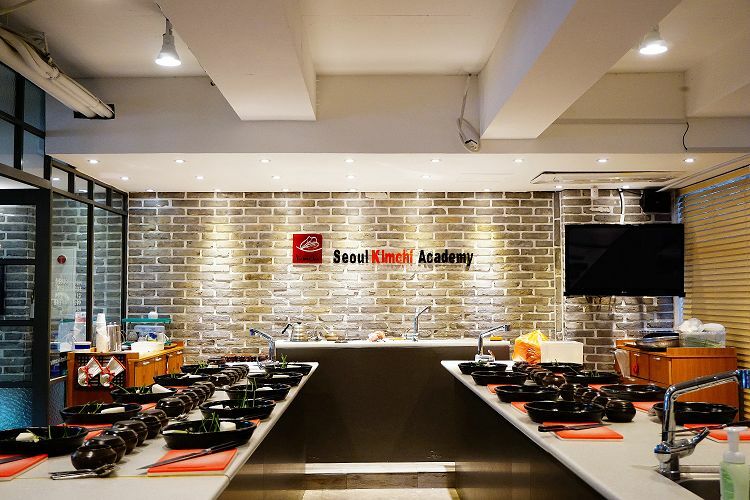 Seoul Kimchi Academy is literally a Kimchi academy located in Myeongdong, no. 1 shopping and touring place in Korea. Rather than simply teaching with body gestures, the instructors tell the visitors the history and explanations of Kimchi in English / Chinese / Japanese. Even if you are not a good cook, try making Kimchi and Tteokbokki with kind instructors! 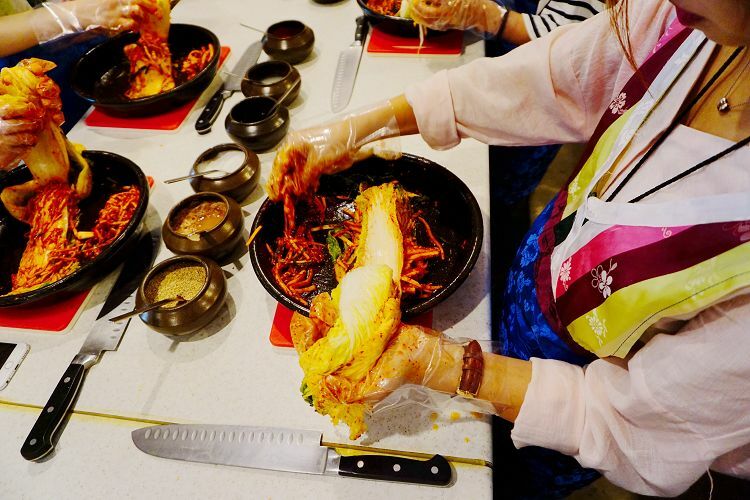 This session lasts 30 minutes teaching you the history and explanations of Kimchi. After the activity, the academy packs your Kimchi tightly and safely so you can take it with you. Tteokbokki is the most popular Korean spicy street food by foreigners that they eat in Korea at least once. Tteokbokki making begins after Kimchi making activity. You can make Tteokbokki with your own spiciness. 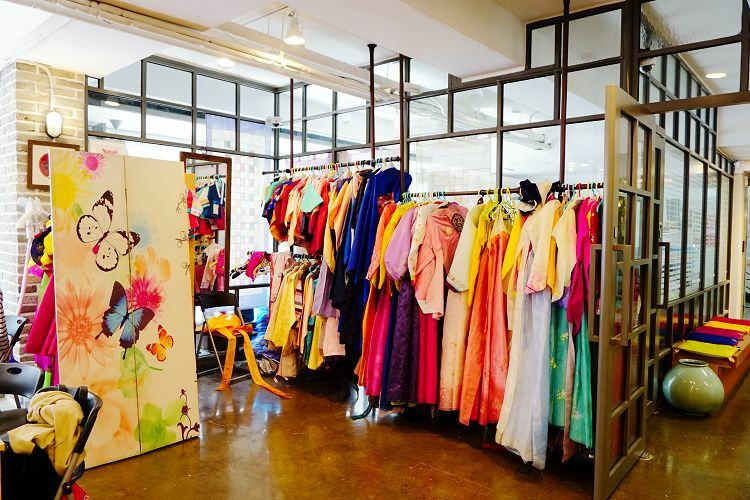 Wear Hanbok and take beautiful photos at a special photo zone. Enjoy a cup of tea, also. 4. Tell your name for check-in and start the activity. • Get off at Exit 10 of Myeongdong Station (Subway line 4) and find the Sejong Hotel → Look at the Sejong Hotel and go to the left side → Enter the alley between the mini stop and the Sejong Hotel → Look at the right side when you see the 7-Eleven → Find Seoul Kimchi Academy and come upstairs. 1. Wearing Hanbok experience is free of charge. 3. Kimchi will be packed in an aluminum package to prevent it from smelling or leaking. 4. If you want to buy Kimchi, please inform the staff on site.